Aston Villa seal Micah Richards deal Aston Villa have sealed the deal of defender Micah Richards on a free transfer, as per SkySports report. Aston Villa have sealed the deal of defender Micah Richards on a free transfer, as per SkySports report. Richards who spent ten years at Manchester City before being released by the club recently has agreed a move to Aston Villa on a free transfer. He has signed a four-year deal at Villa Park. The Englishman spent last season on loan at Serie A outfit Fiorentina. He only started seven Serie A games. 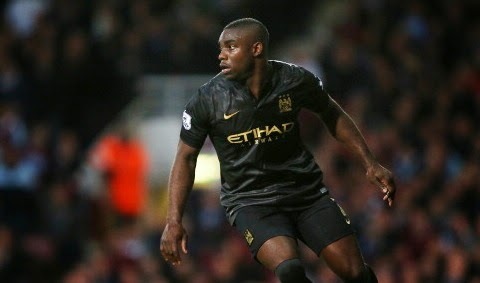 Richards missed the last few seasons at Man City due to injuries which never allowed him to take his starting role back. He was linked with numerous Premier League sides in the past including Liverpool, Newcastle United and Sunderland. But Villa in the end won the race. Aston Villa boss Sherwood said: "I'm really pleased to get Micah on board and I'm sure he will prove to be an excellent signing for the football club." Richards who has won Premier League twice at Etihad Stadium and few Domestic Cups featured for City last year in March against Wigan. The 26-year-old made more than 240 appearances for City in all competitions. Villa who stood runner up in last season’s FA Cup campaign conceded 57 goals in the Premier League. They are eyeing to make their defence strong . Meanwhile, City are eyeing Aston Villa star Fabian Delph, as per BirminghamMail. City boss Manuel Pellegrini is a big admirer of the attacker and soon will be concluding his deal.